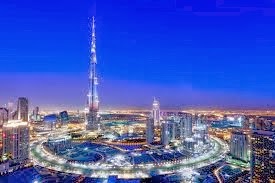 Burj Khalifa was known as Burj Dubai. 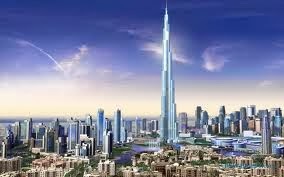 It is a huge skyscraper situated in United Arab Emirates. It is certainly a hot spot amongst the tourists from all over the world. 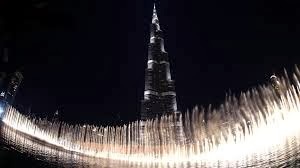 It is the world’s highest observatory deck with an outdoor terrace; Burj Khalifa has defined its credentials as one of Dubai’s most popular tourist attractions, welcoming over 1.87 million visitors in 2013. Over 2,716.5 feet (828 meters) and more than 160 stories, Burj Khalifa is the tallest building in the world and holds many records. 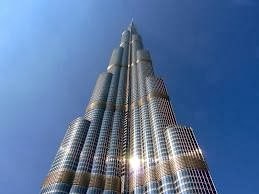 The skyscraper (Burj Khalifa) is a world-class tourist destination and a magnificent Center of Dubai (United Arab Emirates). Visitors to the observatory deck, located on Level 124 of Emaar Properties Burj Khalifa, increased 13 per cent in 2013, up by 1.66 million visitors the 2012. Burj Khalifa was crowned ‘Best Tourist Attraction in theMiddle East’ at the Conde Nast Reader’s Choice Awards by this year.The observation deck is a very famous venue for media briefings and special events, and promoted local talent through the Art at the Top’ competition organized in collaboration with The Ara Gallery. 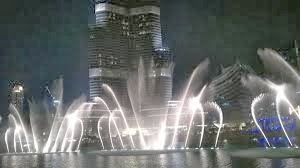 Burj Khalifa is one of the key contributor to Dubai’s tourism sector and also popular among UAE residents. Well-being initiatives and supporting health, the destination also hosted yoga sessions and reached out to the community through a number of corporate social responsibility initiatives. Last year, more than 20 visits were organised for groups from different charity institutions. Marking Burj Khalifa fourth anniversary, At the Top, Burj Khalifa offers visitors the opportunity to witness the sun rise over the city of dreams on Fridays and Saturdays, until February 28, 2014. The entrance is located in The Dubai Mall’s lower ground level. Burj Khalifa is unique in a number of ways. And, visiting an exclusive place during the holidays is certainly an excellent experience. So, contact your travel agent today to book your holiday packages now.